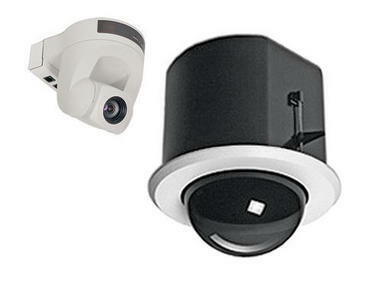 The DomeVIEW 70 Flush Mount Camera System is an integrated camera mounting system designed for indoor security applications. The 7.3-inch (18.54cm) flush mount dome enclosure is outfitted with the internal brackets to support the Sony EVI-D70 pan/tilt/zoom camera and Vaddio’s™ EZCamera Cabling System, which enables the use of Cat. 5 cabling for video, power and control. The Domes are formed from optical grade polycarbonate and are available in clear (standard) or smoked tint (optional). Flush Mount Dome and Bracket for Sony EVI-D70 Flush Mount Dome for use with Sony EVI-D70 PTZ camera. 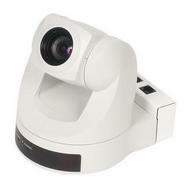 Sony EVI-D70 PTZ Camera Standard Definition Pan/Tilt/Zoom Camera. Ceiling Mounting Kit for Indoor and Outdoor Pendant Domes Mounting box with heavy-duty 1.5-inch NPT adapter. Wall Mounting Kit for Indoor and Outdoor Pendant Domes Heavy-duty aluminum wall mounting kit for Indoor and Outdoor Pendant Domes. Wall Mount with Pole Mounting Kit for Indoor and Outdoor Pendant Domes Heavy-duty aluminum wall mounting kit with pole mount for Indoor and Outdoor Pendant Domes. 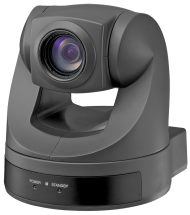 This Camera has been "Vaddio-ized"
Manufactured by trusted partners, our OEM cameras have been paired with additional features and connectivity by Vaddio. We start with great gear and enhance it with the Art of Easy.